Three weeks after the loss of the U-87, Daniel Graystone has lost everything that matters to him...but he has a plan; Clarice presents her own plan for apotheosis to the elders of the Monotheistic Church on Gemenon. Throughout the episodes from here until "Blowback", notice that we see evidence that Daniel has been sleeping on the couch in his home's living room. It seems he doesn't like sleeping in his bed without Amanda. At 2:31 on the DVD, the newscrawl at the bottom of the screen during the CAP broadcast reads "...CEO of Scorpian Mills Denies Charges...Eros Days Sales Reach New High...Cost of Living Estimates Due Wednesday, Stocks Fall on..."
At 2:44 on the DVD, Baxter Sarno jokes in his monologue that it was so hot the wings on the statue of Icarus melted. This is a reference to the Greek mythological figure Icarus, who used wings made of feathers and wax to fly, but flew too close to the sun, which melted the wax and caused him to plummet to the sea, where he drowned, not unlike Baxter's joke here. There must be a similar legend in Colonial mythology. At 2:50 on the DVD, the TV channel changes to a broadcast of a pyramid game. The announcer of the game reveals to the viewer that Tomas Vergis is now the owner of the Caprican Buccaneers pyramid team, previously seen to be owned by Daniel Graystone. Daniel agreed to sell the C-Bucs to bail Graystone Industries out of its money problems in "End of Line". A traffic update on the television reveals that safety retrofitting is taking place on Pantheon Bridge after the suicide attempt by Amanda Graystone three weeks ago (in "End of Line"). The aerial shot of the bridge at 3:15 on the DVD is actually Burrard Bridge in Vancouver, British Columbia, Canada. At 4:18 on the DVD, we see that the home stadium of the Buccaneers is called Atlas Arena. A statue of Atlas looms over the stadium grounds. In Greek mythology, Atlas was the Titan who held the Earth upon his shoulders. According to Serge's Twitter feed while Caprica was airing on Syfy, Atlas held up humanity's homeworld of Kobol. 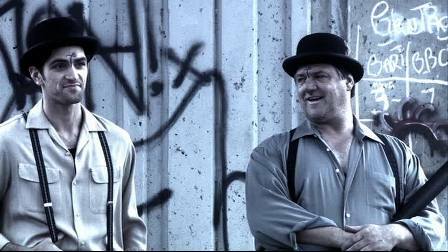 At 4:24 on the DVD, there are references to twins scrawled in chalk on a pillar outside Atlas Arena. It is a reference to the Gemenon pyramid team, the Twins. Just a couple seconds later, the outside wall of the arena is also seen to have the mysterious chalk scrawl of "We all collapse" written on it. This may be a reference to the bombing that is about to take place, bringing down the arena. Of course, this entire scene turns out to be a holo-simulation of a planned terrorist attack by Clarice Willow for STO. At 4:46 on the DVD, a teenage girl and an older man acknowledge each other by touching the center of their own brow with the index finger, presumably a recognition gesture of the STO. The two share the gesture with others in the minutes leading up to the start of the game and the explosions. Clarice claims to the Monotheist Church that 30,000 Capricans will die in her planned terrorist attack on Atlas Arena, implying that the stadium is capable of holding at least that many people. 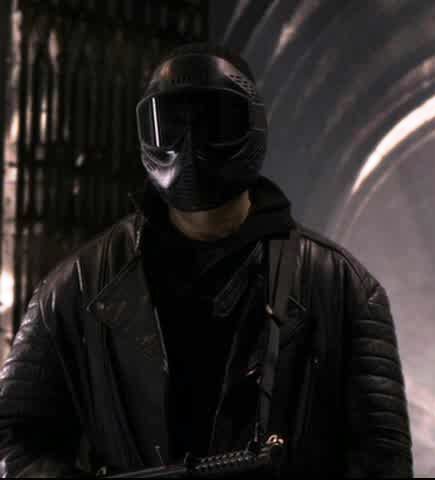 At 8:03 on the DVD, the guard at the meeting of the elders of the Monotheist Church appears to be wearing a paintball mask! At 9:25 on the DVD, Daniel is being chauffered in his Jaguar limousine (that's the Earth make, anyway!). Ferras tells the Blessed Mother that he's known Clarice since she was a child and that she has delusions of grandeur and has developed a messiah complex. GD (Grandiose Delusions) is an actual psychological disorder, usually resulting from bipolar disorder or schizophrenia. Starting with this episode, Serge now has dark gray highlights instead of light gray ones. No explanation for the change is given. Serge starting in "Unvanquished" Serge before "Unvanquished"
A stack of addressed envelopes is seen in the Graystone household at 20:04 on the DVD, but the addresses are too blurry to make out. 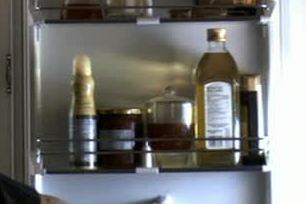 As Sam noses into Daniel's refrigerator at 20:24 on the DVD, notice that all of the products on the door shelf have the front labels facing away from the opening so that the brand names can not be seen. 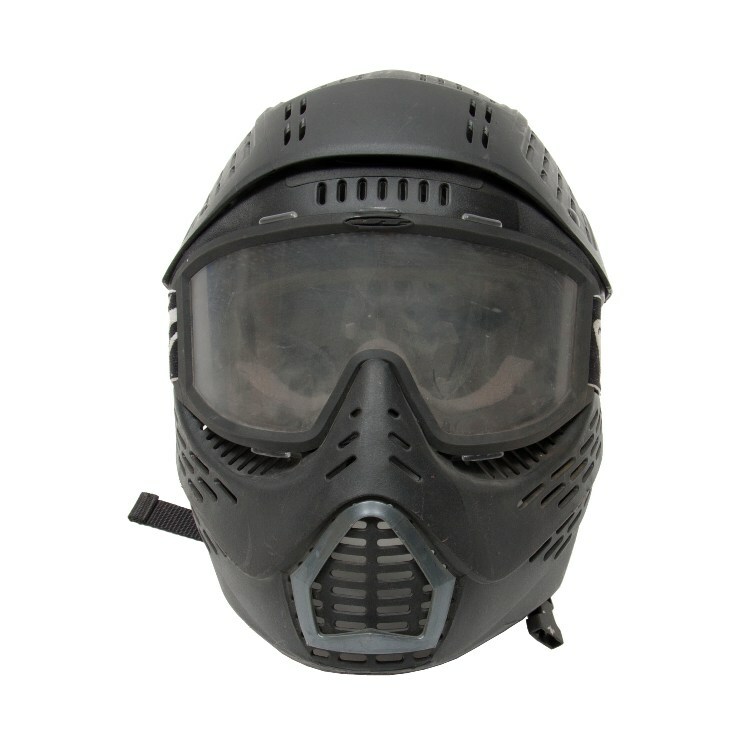 Often, television and movie productions do not want to provide free advertising to companies and will do their best to obscure product names. This episode reveals that Daniel's mother, whom we've never met, is still alive and living at 14 Arno Court. Daniel refuses to sacrifice her for his deal with the Ha'la'tha. Lacy is seen to still be with Barnabas' STO cell, despite the fact that her reason for joining is now a moot point, with the U-87 no longer functional. It is likely she found herself in too deep to get out again without being killed by Barnabas. Diego mentions Clarice's rival religious conclaves to the monotheists on Gemenon, the polytheists and the Hephaestons. The Hephaestons must be devoted to a Kobolian similar to the Greek god Hephaestus, a god of fire and metallurgy. Vergis winds up coining the slang term "toaster" for a Cylon after Cyrus tells him the original U-87 robot (which formerly held Zoe's avatar personality) is toast since the accident (at the end of "End of Line"). Clarice refers to the Gemonese land on which the Monotheist Church's retreat rests as the Holy Land. It's not revealed what about the land has earned it this designation. At 38:08 on the DVD, the top word etched into the rear side windows of Daniel's limousine can be made out to read Triplex. This is a brand of safety glass made by Pilkington. At 38:43 on the DVD, the original U-87 Cylon is boxed up by Cyrus and put into deep storage. Stenciled on the crate is what is presumably the unit's model and serial number. 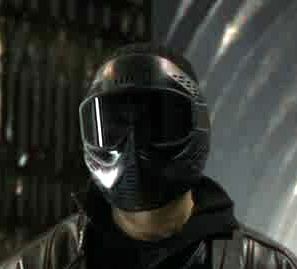 The term "boxed" comes to be used by the Cylons themselves decades later in BSG2000 to describe the act of detaining the electronic personality of an individual Cylon or an entire line (such as happens to the Final Five for some time). 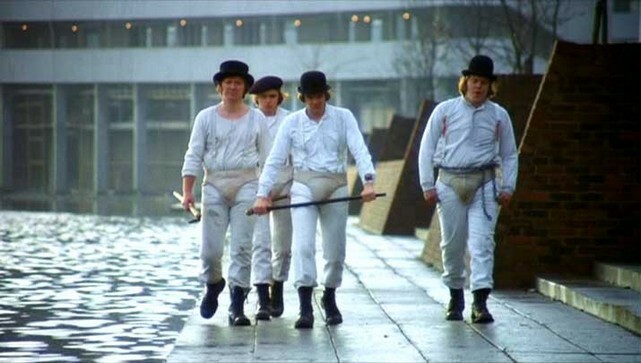 The thugs who attack Zoe in New Cap City dress and behave somewhat similarly to the droogs of the 1971 film A Clockwork Orange. 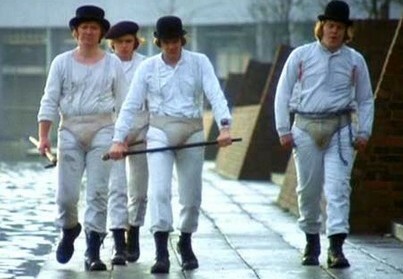 Notice also that the thugs have Tamara's "T" design painted on their brows. Tamara and Zoe have now both become known as deadwalkers, the only two virtual citizens of New Cap City who have continued to live virtual lives after the deaths of their physical bodies. At the end of the episode, Zoe demonstrates that she now has similar abilities in V-world to those Tamara has demonstrated. Just before Zoe slashes and derezzes her final droog attacker, notice that the Cylon hum is heard. The article "Where Will the STO Strike Next?" is a bit of a harbinger of Clarice's plan to blow up Atlas Arena during a Buccaneers game. The article also mentions the name of a magazine called Caprican Life; in the BSG2000 episode "Final Cut", Commander Adama is seen reading a copy of this magazine. With Caprica's sinking ratings, the Caprican had little to say after this episode, and nothing after October 16, 2010, about the time the series' cancellation was announced by Syfy.